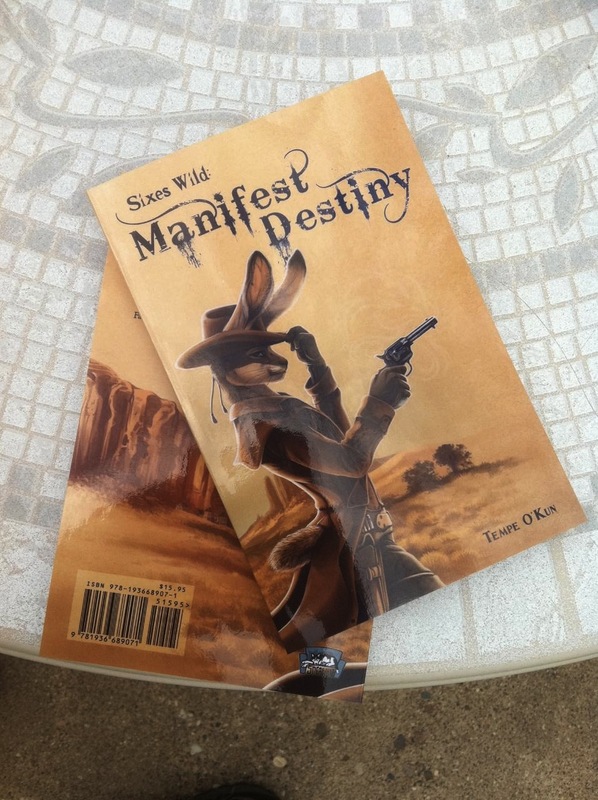 Sixes Wild Novel - Officially in Existance! Just got the above photo from Sofawolf Press HQ. It's Sixes Wild: Manifest Destiny made manifest! The Sofawoofs have them in-paw and are prepping for the AC11 release as you read this. It's been quite the journey writing my first book and I can't wait to hear what you think. ^_^ I'm at Pinkie-Pie levels of excitement!